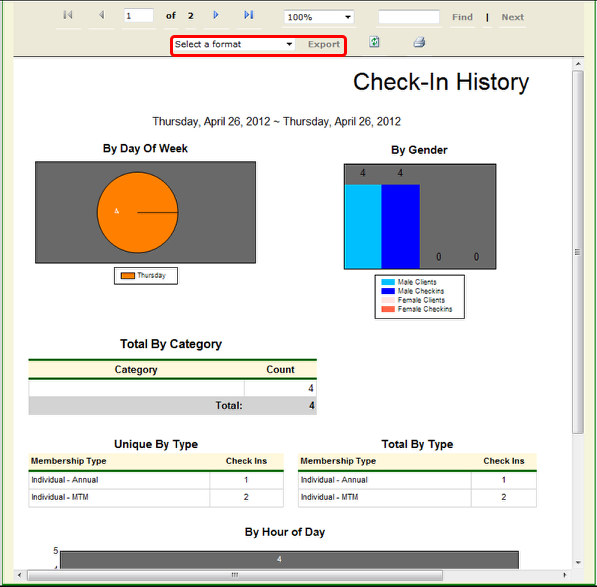 Generate a report on check-in activity. 3. Filter report by client category allows you to choose a specific client category to report on. 4. Choose to Include All Clients or only clients with a specific custom field entered. Note: Client's name will be displayed at the bottom of the report. Keep in mind there may be more than one page on this report.